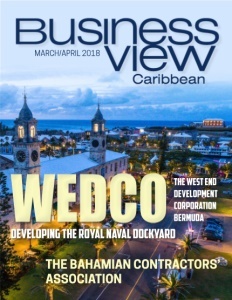 Business View Caribbean interviews representatives of the West End Development Corp., as part of our focus on best practices of Bermuda businesses. The British Empire was built on the strength of its navy, and for eons, England was the most prominent seafaring power on earth. While English fighting vessels had roamed the seas since the 10th century, a standing “Navy Royal,” with its own purpose-built warships and dockyards, didn’t emerge until the reign of Henry VIII, half a millennium later. In 1588, Queen Elizabeth celebrated the British fleet’s victory over the Spanish Armada, and by the 17th century, the Navy had completed the transition from a semi-amateur fighting fleet of “gentlemen” (upper-class soldiers) and “tarpaulins” (professional seamen, who generally served on merchant or fishing vessels in peacetime) into a fully professional institution with an officer corps and a defined career structure. The Acts of Union, which created the Kingdom of Great Britain in 1707, also established the Royal Navy, which remained the world’s largest maritime force throughout the 18th and 19th centuries. During the American War of Independence (1775–1783), it easily obliterated the small Continental Navy of frigates fielded by the rebel colonists, but the entry of France, Spain, and the Netherlands into the war against Britain produced a combination of opposing forces which deprived the Navy of its position of superiority for the first time since the 1690s. That decisive defeat forced the retreating flotilla to establish a new, operational base between Halifax, Nova Scotia and the West Indies, two key remaining outposts of British rule – and Bermuda was quickly identified as the most strategic and secure location. The Royal Navy purchased some 200 acres of land on the island’s west end, and in 1809, work began on the North America and West Indies Station and the Royal Naval Dockyard. It was from there, in the summer of 1814, that a British force of 5,000 troops and Royal Marines set sail for the famous attack on Washington, D. C. and Baltimore during the War of 1812. And it was from one of the British ships that a prisoner, Baltimore lawyer Francis Scott Key, penned the words to the Star-Spangled Banner, after seeing the American flag still flying above Fort McHenry after a heavy bombardment. 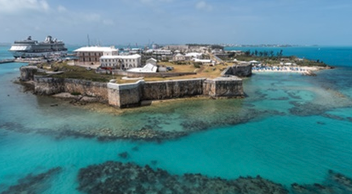 Over the course of time, the Royal Naval Dockyard became a major factor in Bermuda’s economy and an important center of marine technology, affording generations of Bermudians first-rate training in plumbing, carpentry, and other maritime trades. During the First World War (1914-18) and Second World War (1939-1945), it was a bustling, vibrant port with floating docks where ships were repaired for combat deployment. The Royal Navy left the main Dockyard in 1951, and for the next two decades, the area was largely abandoned until the National Museum of Bermuda opened in 1974, and its success led the government to consider restoring the entire Royal Naval Dockyard as a cultural tourism destination. 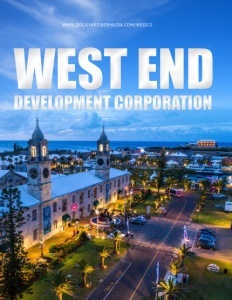 In 1982, Parliament passed the West End Development Corporation (WEDCO) Act, which set up a quasi-autonomous agency with the mandate to develop the area and repurpose all of its existing naval structures, while preserving their historical and architectural integrity. 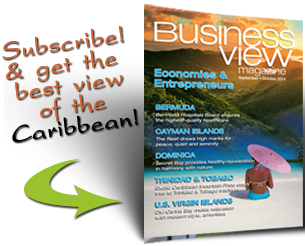 Check out this handpicked feature on The Jamaica Business Development Corporation.